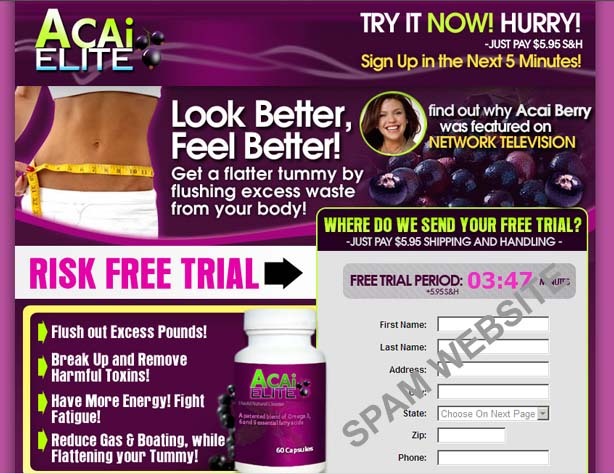 A spam attack that has affected instant messaging users has found its way through Twitter, infiltrating users accounts to post messages with links connecting to weight-loss drugs. Hacked Twitter accounts are being used to post messages that promote weight-loss drugs. The messages vary in the stated text, but generally states the same message and are all followed by a link that leads to websites where the drugs are being sold. Searches through Twitter for “$5 acai” yields the posts of users whose accounts were hacked. The spammers even utilized TinyURL–a free URL redirection service that is used to turn long URLs into shorter ones. The service has been frequently used by Twitter users as it lets them use more of the 140 character limit for messages instead of links. This makes the spam posts even more convincing, making the message not much different from any other post, not to mention masking the actual spam URL with the one provided by TinyURL. Worldometers states that there currently more than 1 billion overweight adults, with at least 300 million of them clinically obese. With such a huge number of concerned users as potential targets, a lure such as weight-loss drugs has good chances to become a hit.